Dr. Brooke Brander is a medical oncology specialist from Fayetteville, Arkansas. 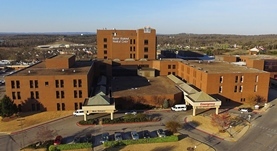 She got her diploma from Oklahoma State University College of Osteopathic Medicine and did his residency years in Internal Medicine and a fellowship in Hematology/Oncology at the University of Arkansas for Medical Sciences. The doctor is certified in Hematology, Internal Medicine, Medical Oncology and has an experience of more than 20 years. Dr. Brooke Brander has contributed to 1 publications. Update on bone-modifying agents in metastatic breast cancer. Suva, L. J., Brander, B. E., Makhoul, I.; Nat Rev Endocrinol. 2011 Jul.